Shuck oysters on one end and pop beer bottles at the other. Forged from 1/2" square carbon steel bar and measuring around 6.5" long with a 2" blade, the Shuggie Shucker oyster knife from Carolina Shuckers is shorter and lighter than their larger models. They feature a bottle opener that we find to be a perfect touch, opposite the blade which is grooved along the top to grip each oyster on the way out. 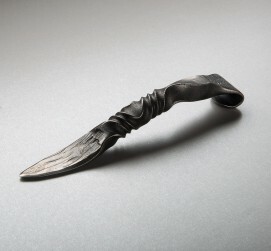 Each shucker is unique, shaped one at a time, twisted and forged by hand in North Carolina. 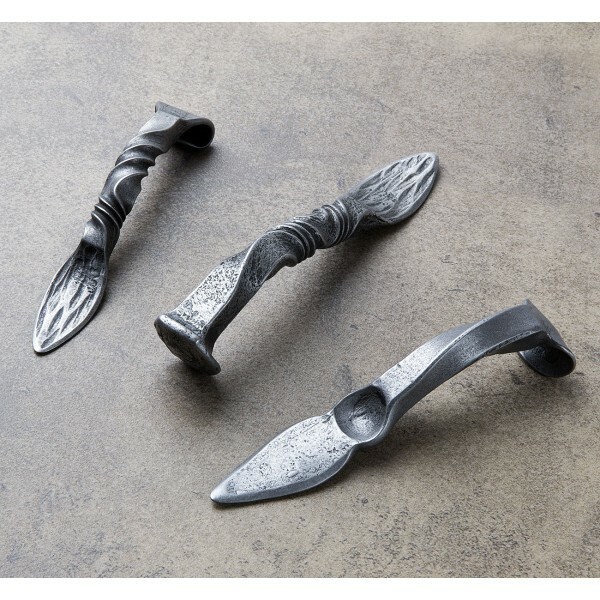 These are truly outstanding tools for delectable feasts. Sculptors with head-turning portfolios of work, Kirk Davis and Michael Waller combined their passions for art, food and the rich heritage of coastal North Carolina to create custom, hand-forged oyster knives. Using salvaged and recycled materials whenever possible, Kirk and Michael's love for the humble oyster is evident in every twist and turn of their one-of-a-kind tools. Care for your Shuggie Shucker like you would your favorite cast iron pan: wash after every use, and keep dry and oiled.